Fabric. Color. Style. These are the crucial factors we keep in mind while shopping for a couch. This list, however, leaves off something that’s not as visual but just as important: couch depth. Choose a couch that’s either too deep or too shallow, and you’ll have a couch that’s pretty but not comfortable to use. And comfort, we believe, is crucial for a couch. Not sure how deep your couch should be? Let us help. What’s the Standard Couch Size? There’s no hard-and-fast rule for couch sizes, although the standard tends to be 40” deep, 60” wide, 36” long, and with a 19” seat height. But you’ll see ones that are larger and smaller, which allows you to find one that suits your needs. How Deep Should My Couch Be? That depends. One consideration to determining couch depth is your size; tall people usually prefer a deeper couch than shorter people will. It depends also on how you’ll use the couch. Will it be a place for lounging? (If so, consider a deep seat.) Will it be a place for conversation? (A shallow seat may be better for this.) Another factor is the cushion type, which impacts the depth of your couch as well. How Deep are the Cushions on a Deep Seating Sofa? Typically, a deep seating couch has a depth greater than 40”. This allows someone on the couch to lean back or to lay down comfortably across it. Meanwhile, a shallow seat usually has a depth between 31” and 40”, which offers an upright seated position that puts your feet on the floor and supports your back. 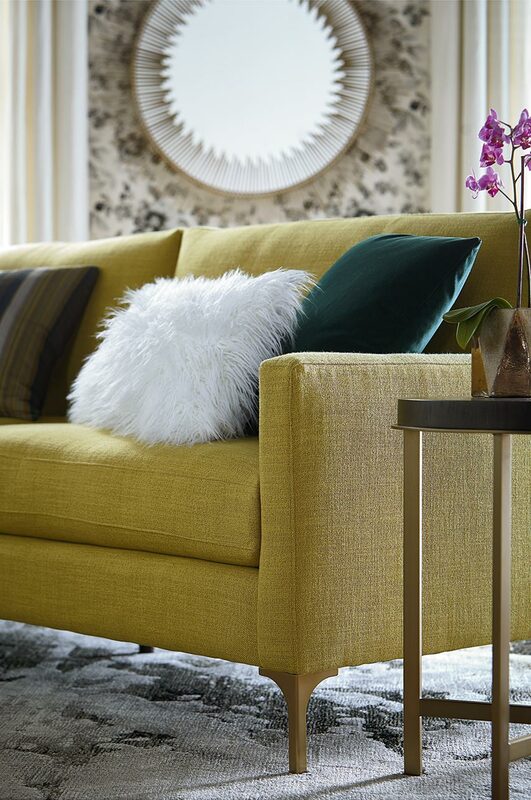 Find a Bassett store near you to shop for the couch best for you. If you want to browse at home before shopping, shop our online catalog or let us send one to you.